It was lovely to see so many parents, grandparents and siblings at this afternoon’s Leavers Service. We would like to take this opportunity to wish Josh, Reuben, Rory, Daisy, Katie, Liam and Eve all the very best at Malmesbury School. 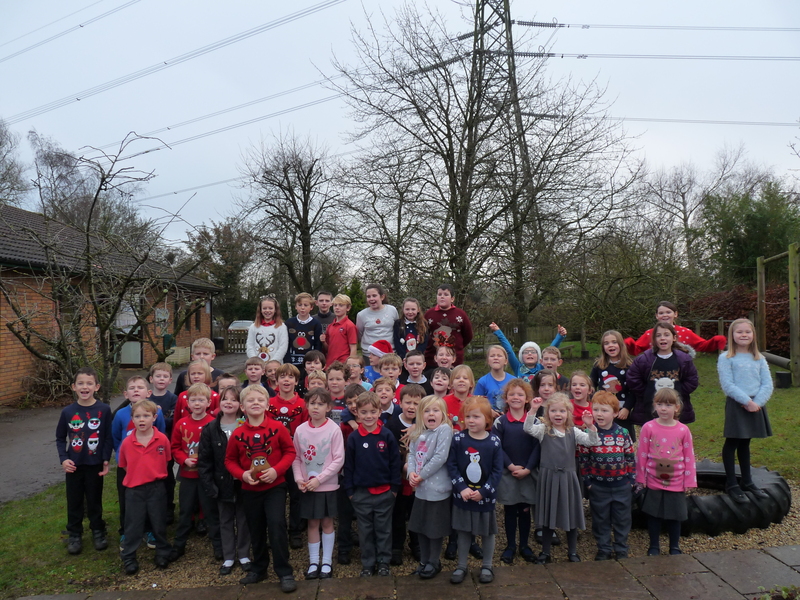 On Monday the whole school enjoyed a scenic walk following the river around Great Somerford. Everyone had a wonderful time and all tucked into the picnic lunch in the Jubilee Gardens on their return. WOW!! Every year they get better and better!! 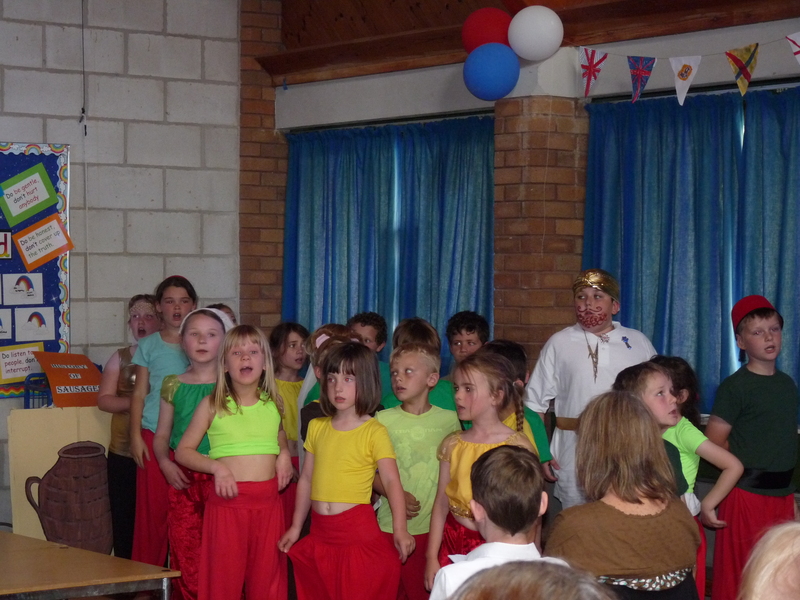 A HUGE well done to all the children who entertained us all with this year’s production of SPLASH. 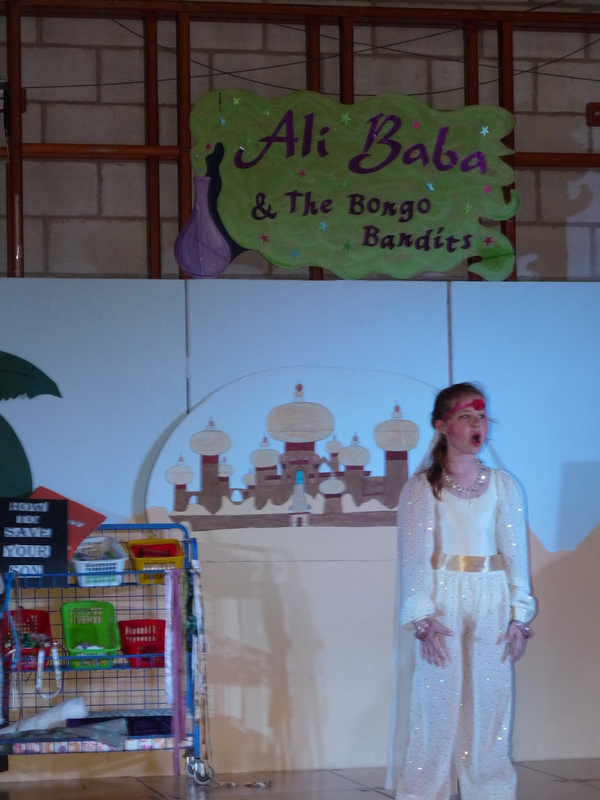 I am sure you will agree they did amazingly well to learn all those lines and songs in a short few weeks; we are so very proud of them all and hope that you all enjoyed the show! 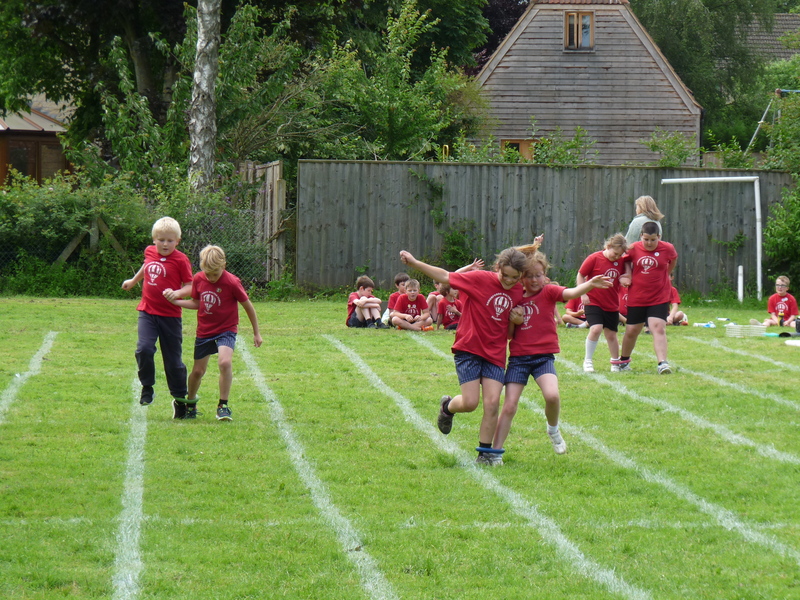 The sun was shining and all the children competed individually and in teams at Sports Day this afternoon. 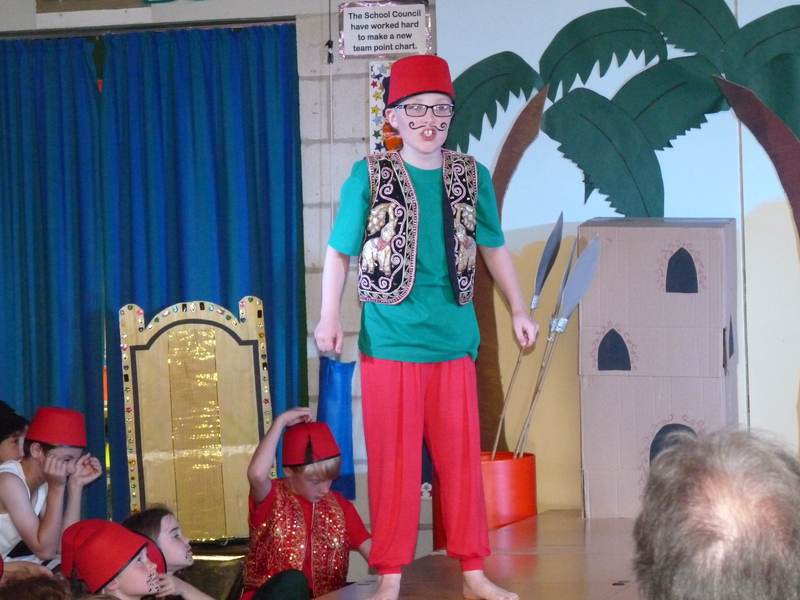 It was fantastic to see all the children having fun and supporting each other during the different events. The children loved supporting their parents too in the ‘balance the bean bag on your head race’! 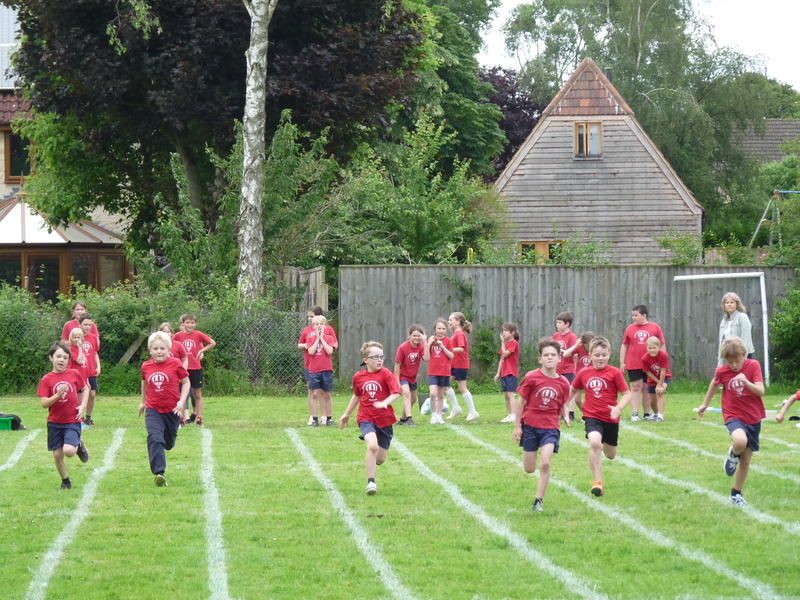 On Monday 26th June the children in Year 6 took part in this year’s Athletics Festival at Malmesbury School. 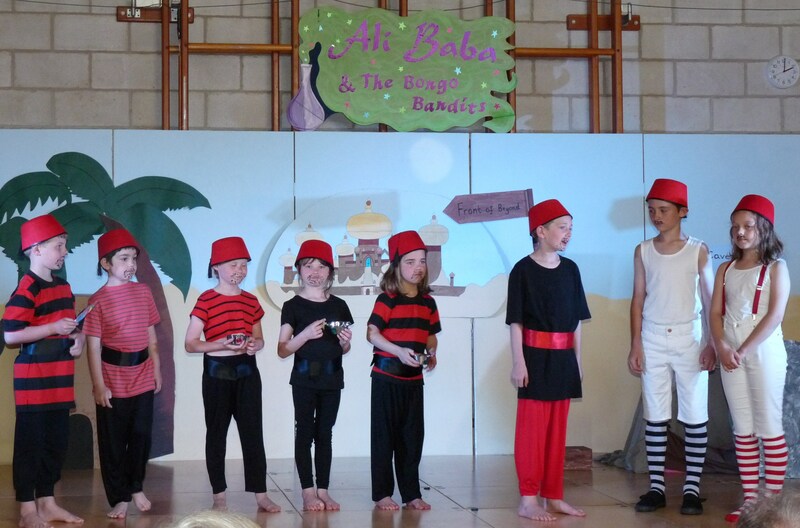 They all did amazingly well and we are very proud of their efforts. Miss Hawker said they were a credit to the school. 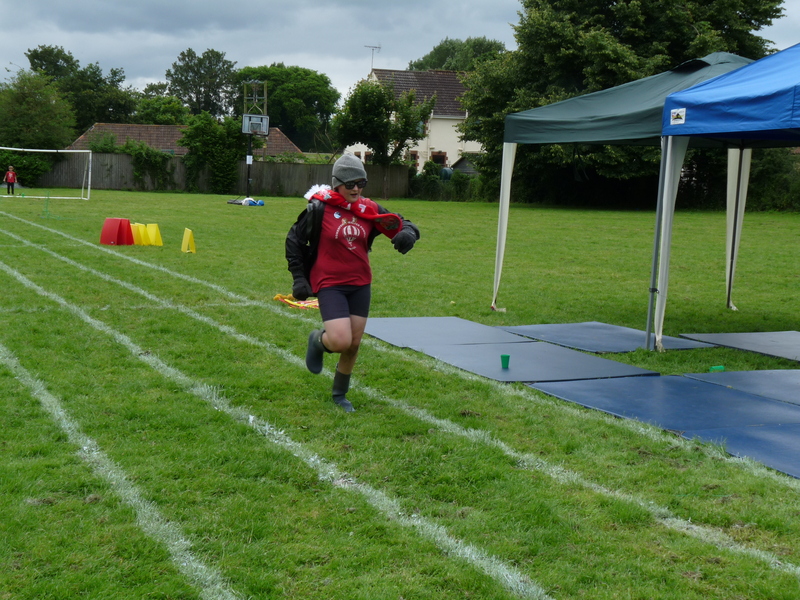 A special mention must go to Rory who came first in both the 200m and hurdles. Overall our girls achieved 12th place and the boys 10th. Our children in Years 5/6 are having a fantastic time at Hill House Christian Centre this week. 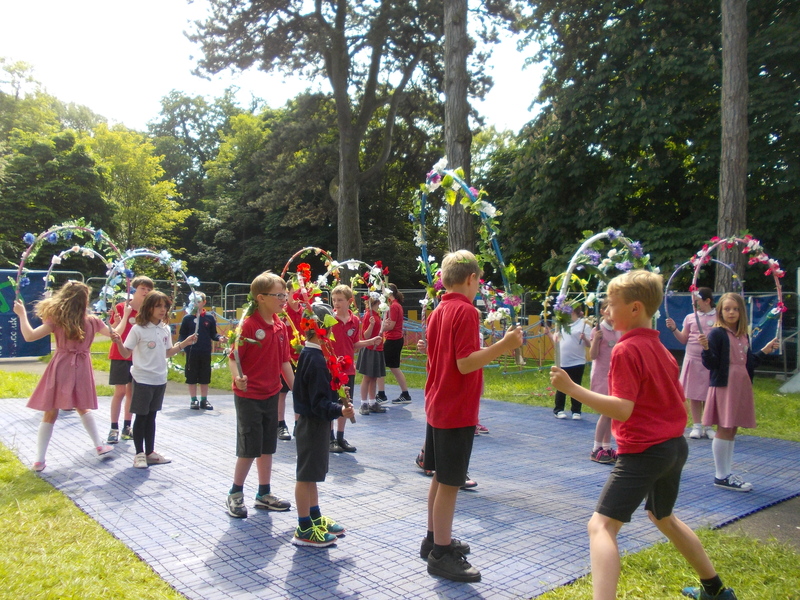 Despite the extremely hot temperatures the children have taken part in many activities such as games on the lawn, team building fun, shelter building, fire making, Archery and have also enjoyed games in the outdoor swimming pool. After another delicious home made meal this evening the children will be attending the Hill House Disco this evening!! The children thoroughly enjoyed their day at Black Rock yesterday and all children participated in Kayaking and High Rope activities, the children and staff encouraged and supported each other during the activities to help them achieve their potential. We are so proud of all of them. This morning they have packed their cases and have tidied their room for the final room inspection of the week. They will find out later today who has been awarded with the ‘tidiest room of the week’ award! We are expecting the children to arrive back at Seagry school at approximately 3.00pm today, no doubt they will all be very tired after such an amazing week away with their friends, but also have happy memories to share and cherish for years to come! Not forgetting the bag of dirty washing!!! 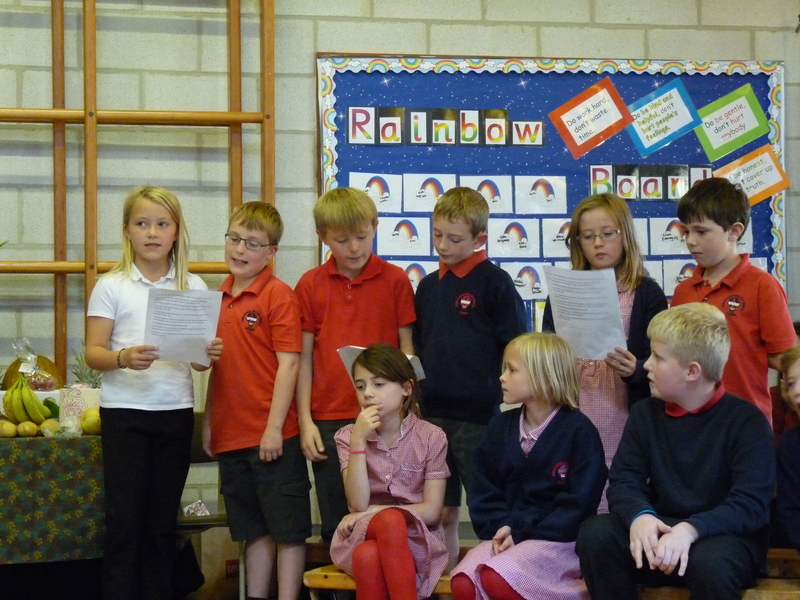 Our children in our School Worship Group have been very busy creating a worship booklet for use in the school. On Sunday 21st May the Athelston museum planned to launch a Hot Air Balloon from the Cross Hayes car park in Malmesbury just as Walter Powell M.P did all those years ago. 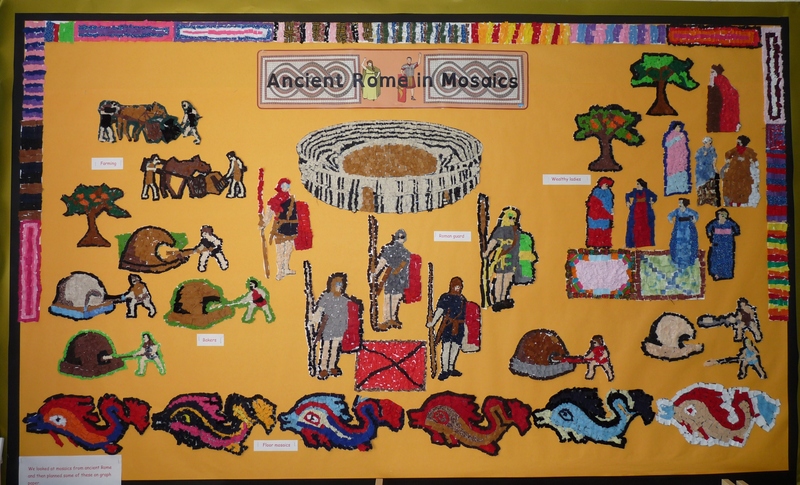 As part of the celebration the children have been learning more about Walter Powell over the past few weeks and have entered a school art competition. There were over 460 entries from schools in and around Malmesbury which are going to be displayed in the Malmesbury Town Hall. We are delighted to share the news that two children from Walter Powell will be receiving a prize for their art work during Sunday afternoon/evening activities in Malmesbury. Many Congratulations to Rebecca (2nd Prize) and Arwen (3rd Prize) and we have also been informed the whole school are receiving a prize which Mrs McQueen. The Sunday evening seemed to be the most perfect evening for a hot air balloon to take off from the Cross Hayes in Malmesbury as part of the Eclipse Flight event. The team made a decision to inflate the balloon at 7.45pm, however due to the strength and direction of the wind this proved to be more difficult and the decision not to proceed with lift off was made. Whilst this was rather disappointing for the waiting crowds the whole event and evening was a success and again we would like to congratulate Arwen and Rebecca on their art competition prizes. Mrs McQueen also collected a prize of £30.00 for the school for the piece of art for the exhibition. Last Saturday morning children in Years 5 / 6 represented the school in the federated football and netball tournament at Seagry School. 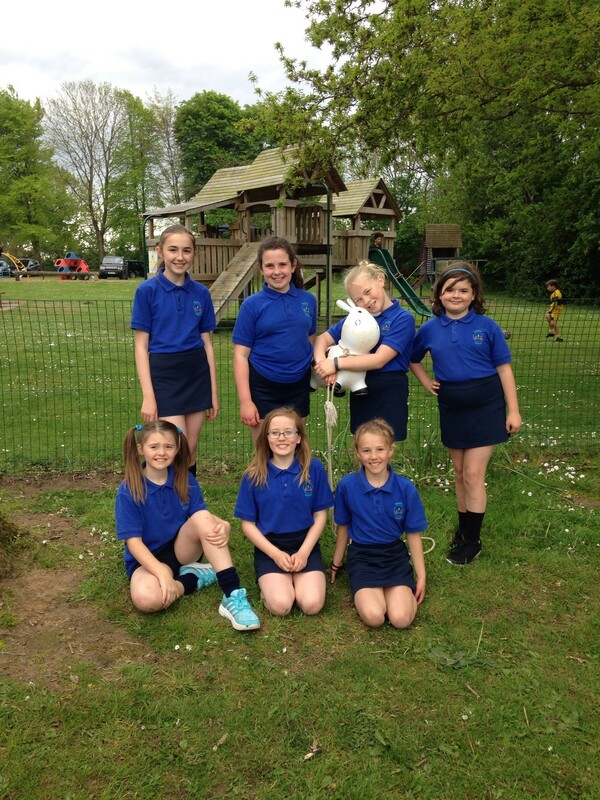 Our netball team competed in 5 games and they played with great team spirit, enthusiasm and gained a lot of experience. Our football team played with professionalism, used their skills and played well as a team. They won 4 matches and drew 1 match which meant they earnt themselves a place in the final. 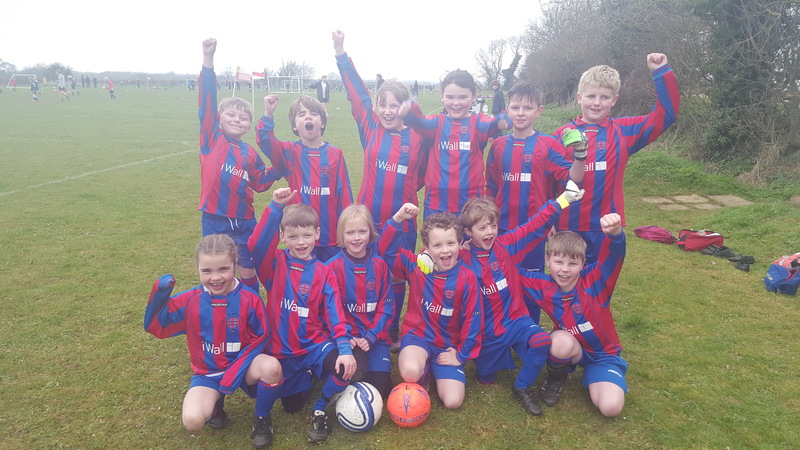 It was all rather tense as they played against Sutton Benger and with some fantastic goals they won 4 – 1. It is the first time that the Walter Powell / Seagry Football Team has won this trophy in 9 years. As you can imagine the team players and also Mr Watkins (Team coach) were delighted with the result! We are now the proud owners of a shield trophy which we will proudly display in school. Thank you again to both Ms Ketcher and Mr Watkins for their commitment to the netball and football teams and their continued support. Happy Easter from all the children at Somerfords’ Walter Powell School. 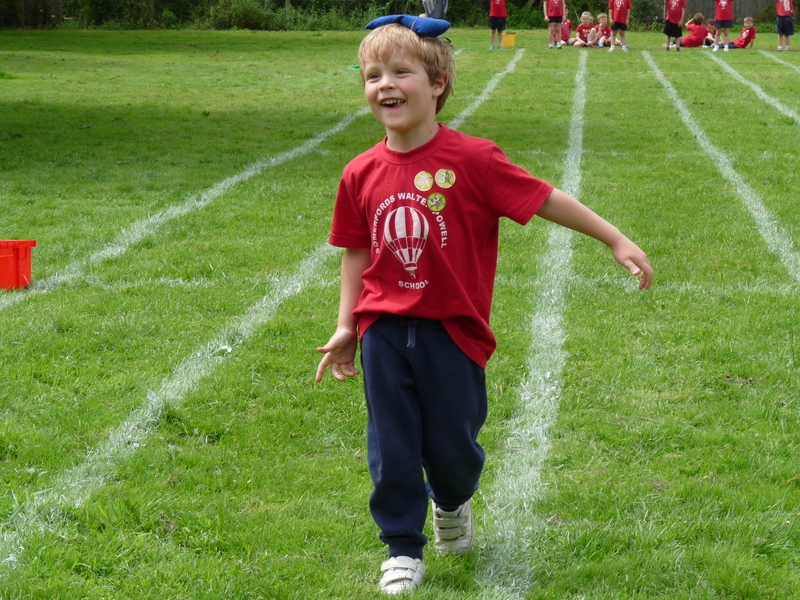 On Monday 20th March 17 children from Key stage 2 attended a Cross Country Festival at Malmesbury School. After the heavy rainfall over night and earlier that day, the ground was suitably soggy for cross country conditions! 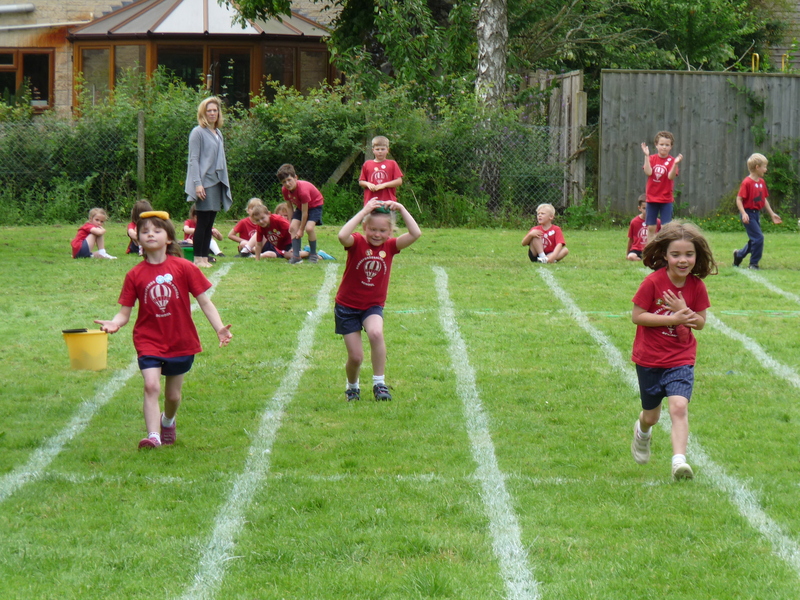 All the children competed with great enthusiasm and tried their very best during the event. They should all be very proud. We would like to congratulate Arwen from Year 4 on finishing 2nd place overall for the Year 3/4 girls category and to the Year 5/6 boys team who were placed second overall. 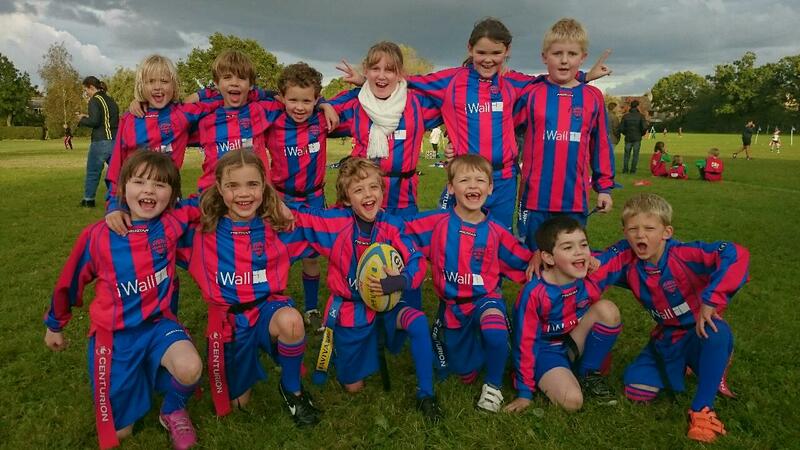 On Thursday 16th March 12 children from Years 3 /4 took part in a Football Festival in Malmesbury. They competed in 4 games against local schools. They all played with great enthusiasm, good sportsmanship and represented the school very well indeed. 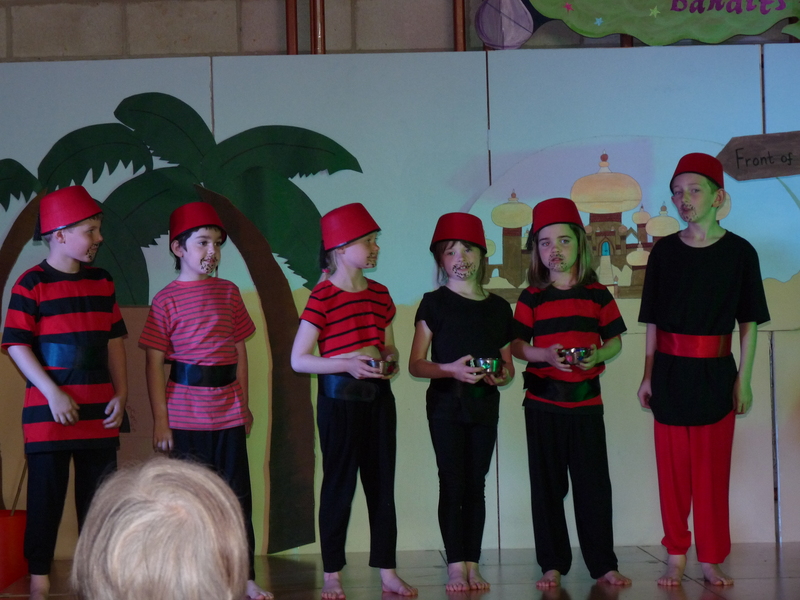 Miss Hawker said “they made her feel very proud”. Mr Badman awarded a trophy to Stanley for a ‘great effort’ on the field during the festival. Well done to all of you. 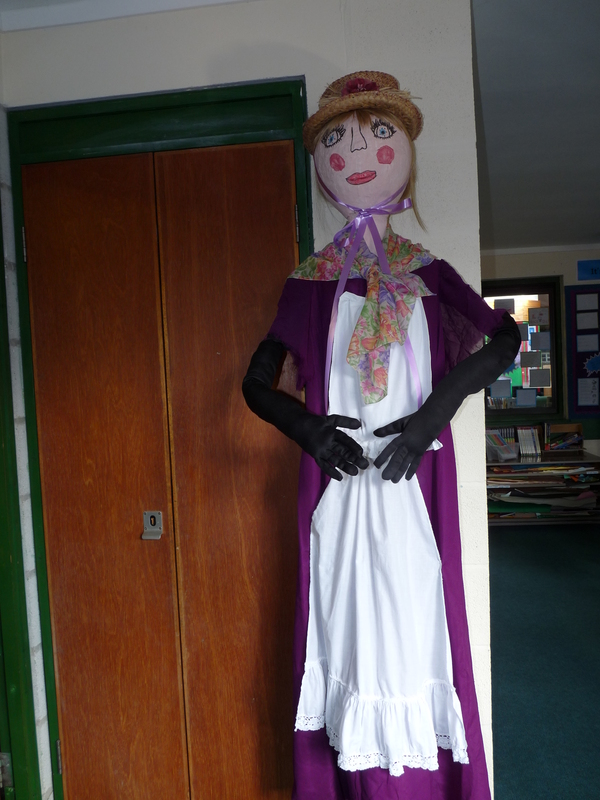 The children and staff at Somerfords’ Walter Powell have been busy creating a scarecrow for the Christian Malford Scarecrow Trail this weekend. The theme is ‘Children’s games through the years’. Can you guess the game? 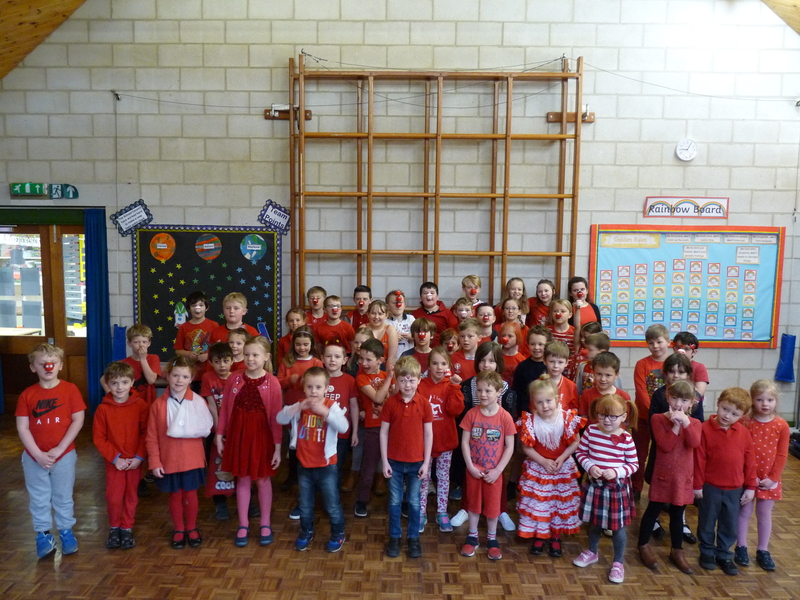 Today was a colourful day at school with children wearing something red to school and a variety of red nose characters balanced on noses! They have raised £80.20 from the donations this morning and a sweepstake game. We will report on how much additional money was raised from this afternoon’s cake sale next week. Our children in Key stage 1 have enjoyed reading the popular children’s book ‘Aliens love underpants’ in literacy. They wore oversized pants which as you can imagine was very funny indeed and enjoyed decorating pants with a variety of materials. 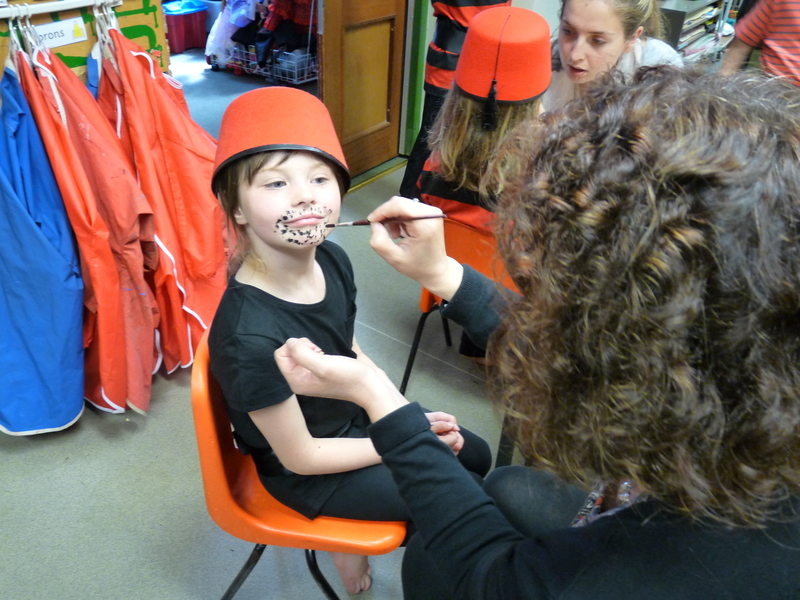 We all had fun on Thursday celebrating World Book Day. We had many fabulous entries into our competition ‘Make a book character out of a potato’. 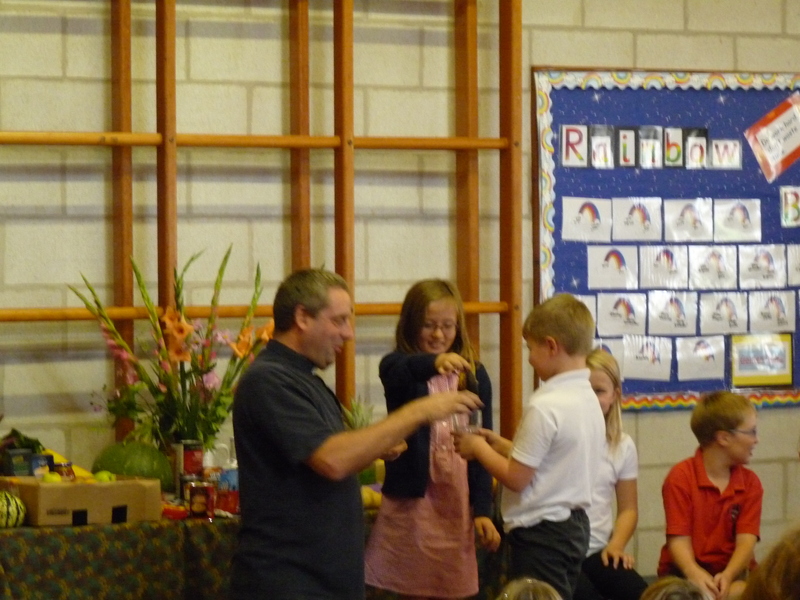 The potatoes were judged independently and WHSmiths vouchers were awarded to Emme and Sonny (joint entry), Mary and Nola. On Thursday afternoon the older children read to the younger children in the school and later in the day Mrs Hodson together with staff read a variety of stories to small groups of children. Last week the children were issued with two vouchers that entitles them to two free books at various bookshops between Monday 27th February and Sunday 26th March 2017. Our Key stage 2 children have enjoyed making dough and creating their pizza specialities – I must say they smelt and looked wonderful! They even enjoyed the washing up! They completed this activity over two weeks and when they weren’t cooking they stayed in the classroom and designed their pizza label! 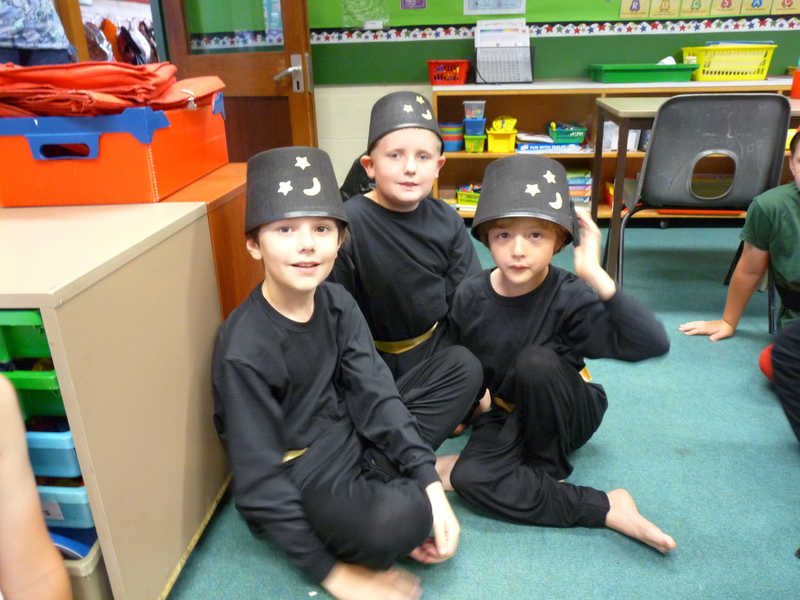 Our Key stage 1 children have been learning about and celebrating Chinese New Year in the classroom. 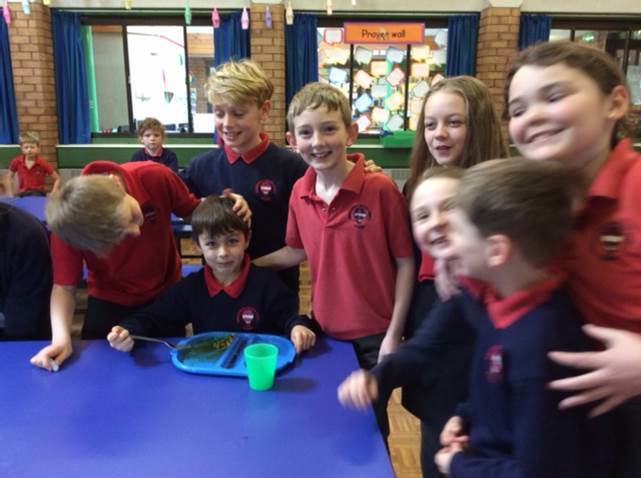 This involved the children tasting noodles and making dragon masks and other art activities and also took part in animal races in the school hall! 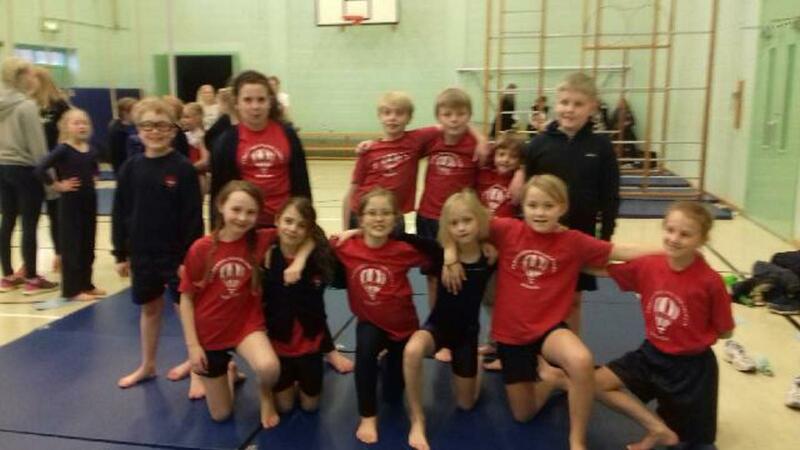 On Wednesday afternoon twelve children from Key stage 2 represented the school at a Gym Festival in Malmesbury School / Activity Zone. All children competed in an individual floor routine and the vault, they all worked really well and performed with great professionalism and team spirit and achieved good results. Congratulations to you all, however an extra special mention to Rory who won the boys’ overall beginners vault competition and to Maxwell for achieving a second place in both his floor sequence and his vault competition. Millie also achieved a joint second place in the girls individual beginners vault competition! 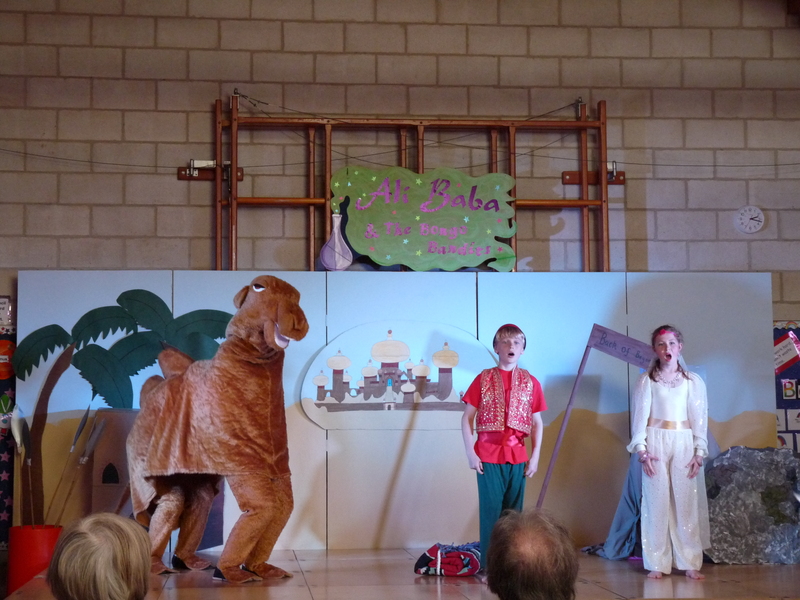 As always these events would be tricky to attend without the support of all the parents who transport the children to and from Malmesbury, so a big thank you to you all. 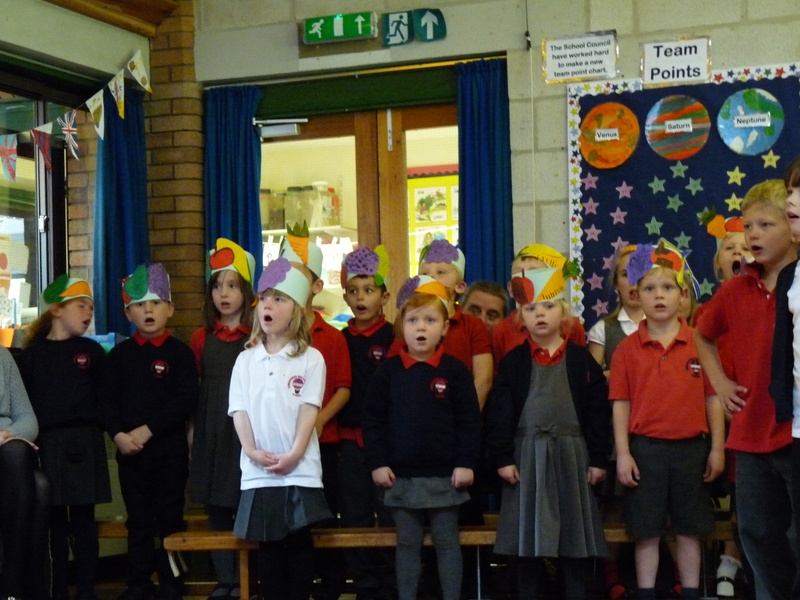 It was great to see so many parents, grandparents and siblings at our Christmas Carol Service this afternoon. The children have been working very hard preparing for it. We hope you enjoyed the service. Many congratulations to Katie for being awarded the Powell Duffryn Cup. Everyone looked fabulous in their Christmas jumpers today. We are delighted to share that we raised £43.72 for Save the Children. Thank you. On Monday morning Rev Steve Wilkinson our Vicar helped the children make Christingles and then conducted a service in the school hall with the children sitting around in a large circle holding their lit Christingles. 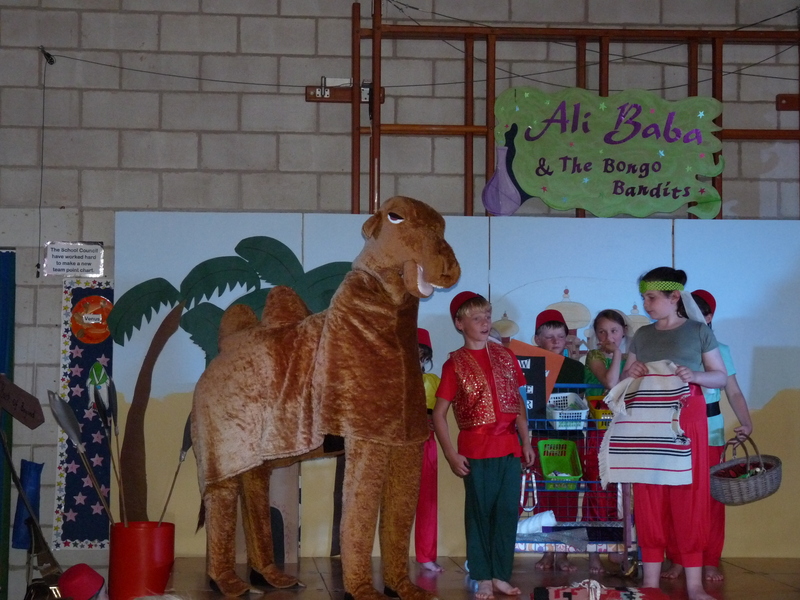 Children from Walter Powell Pre-school, Reception and Key stage 1 from Walter Powell School entertained us in the Christmas Nativity of Shine Star, Shine and they performed likes stars! 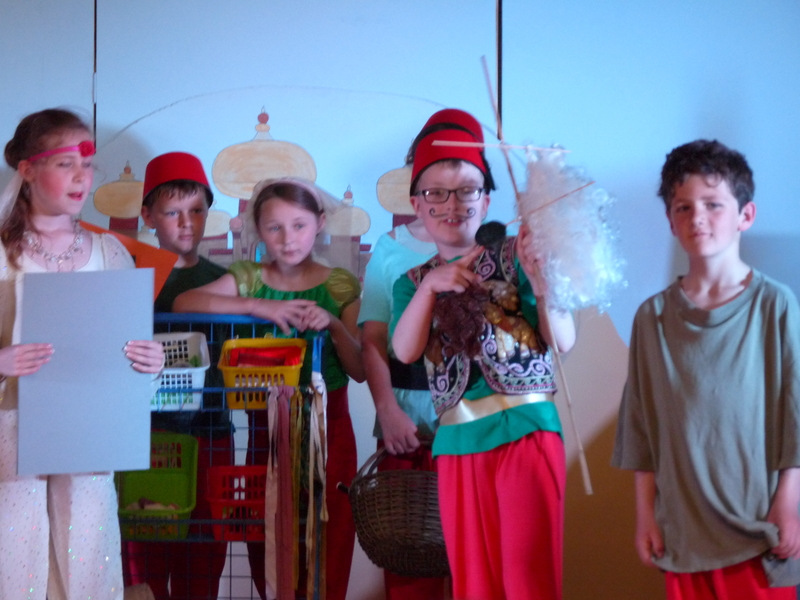 The dress rehearsal to Key Stage 2 and other members of the community on Tuesday was perfect and we had wondered if they had peaked too soon, but they gave another fantastic performance on Wednesday afternoon to a full audience. All the hard work, learning lines, songs and where to stand on the stage was worthwhile to give everyone who watched it a very warm, festive type glow. Today everyone looked very bright and colourful in their spotty / children in need clothing as we supported Children in Need 2016. The school council collected £40.72 from the children arriving at school this morning and they organised a game in the school hall which involved balancing on one leg on a colourful spot!! 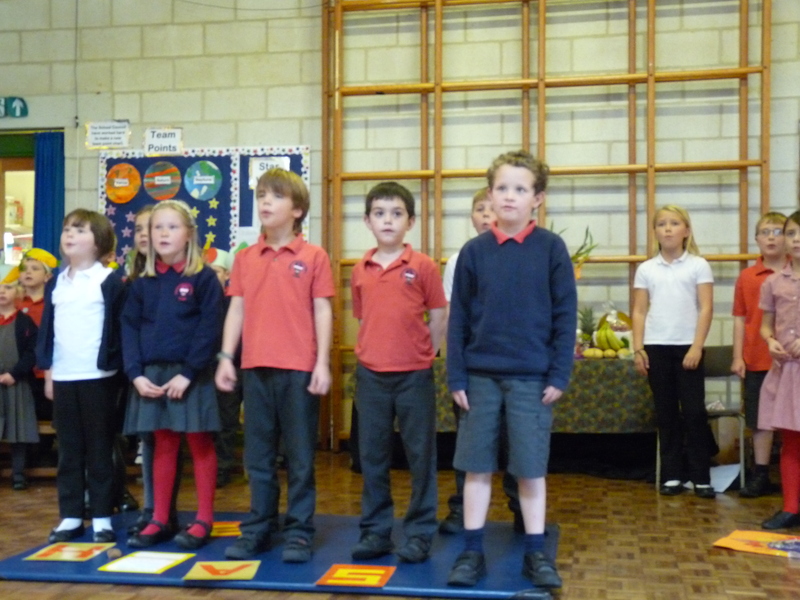 A Pudsey Bear badge was awarded to the person who remained balanced the longest from each class. Congratulations to Josh, Arwen and Rebecca. Thank you for all your support. 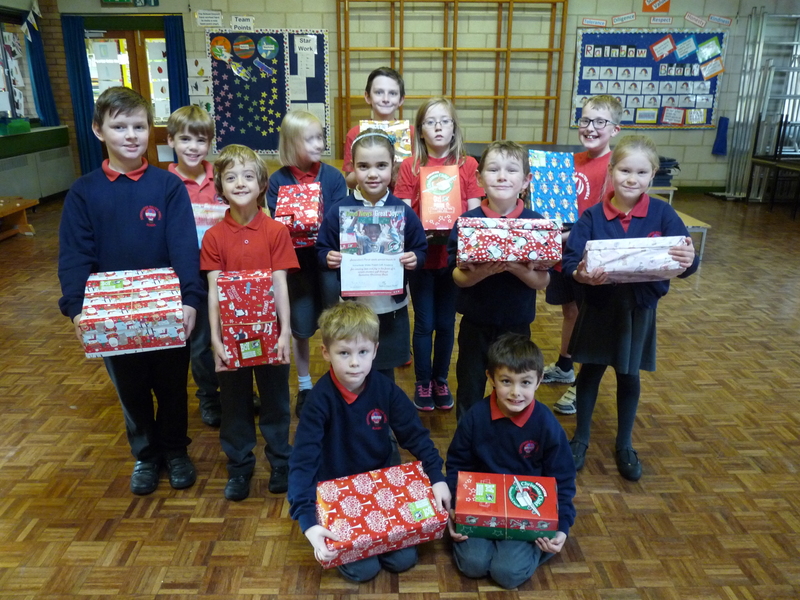 Thank you for all the shoe boxes that were donated for Operation Christmas Child, they were collected on Thursday morning and taken to the nearest drop off point in Malmesbury before making their journey for international despatch to their final destination. On Friday 11th November we all walked to the War Memorial in Great Somerford for 11am. It was great that a few parents and members of the community joined us in our act of remembrance. Josh the eldest child in the school laid a poppy wreath on behalf of the school and the Key stage 1 children laid their handmade poppies in the memorial garden. All week the children have been enjoying our autumn themed art enrichment week. During the week the children have experienced drawing/ painting with sticks, decorating glass jars, making and eating apple and blackberry crumbles, family trees made out of a variety of materials, making owls, leaf shaped sun catchers and much more. Our Art Exhibition on Friday afternoon gave the parents the opportunity to see what the children have been experiencing this week. 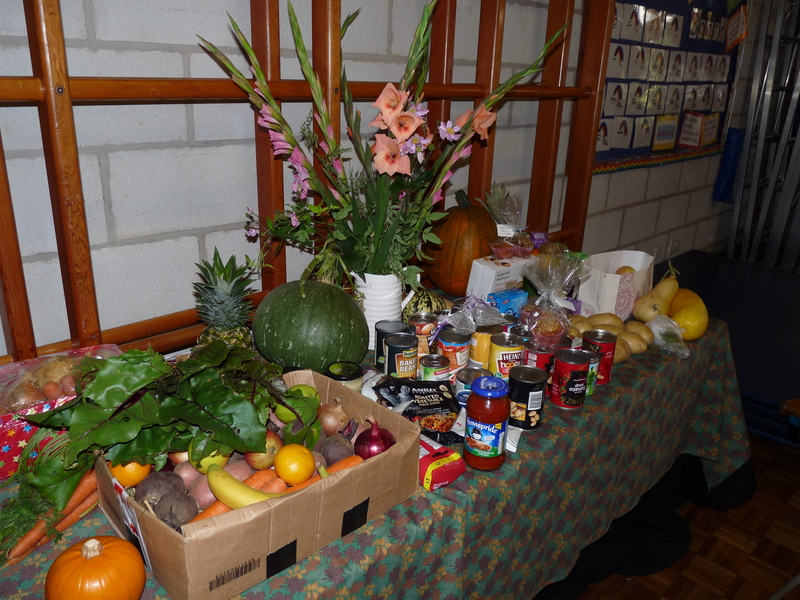 We would like to thank you all for the generous donations for Harvest Festival. 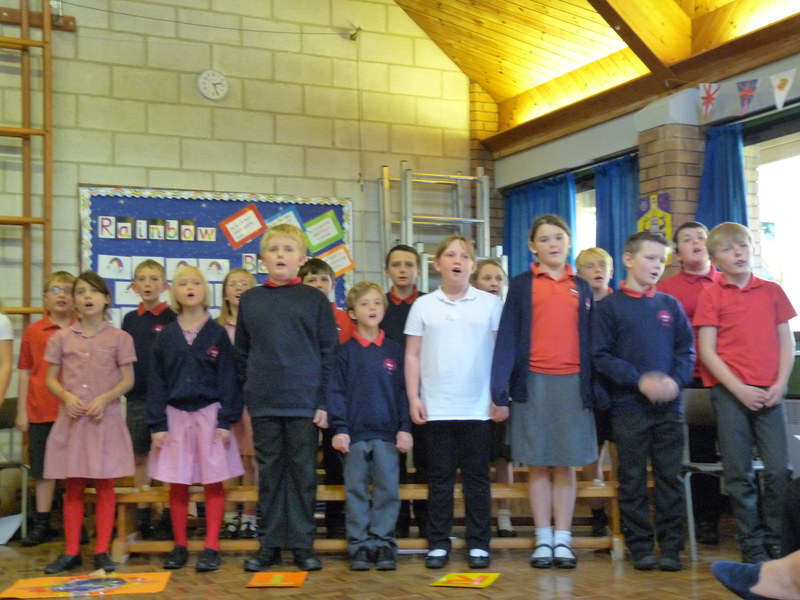 It was great to see so many parents, grandparents and siblings this afternoon, all the children performed extremely well and sang with much enthusiasm. 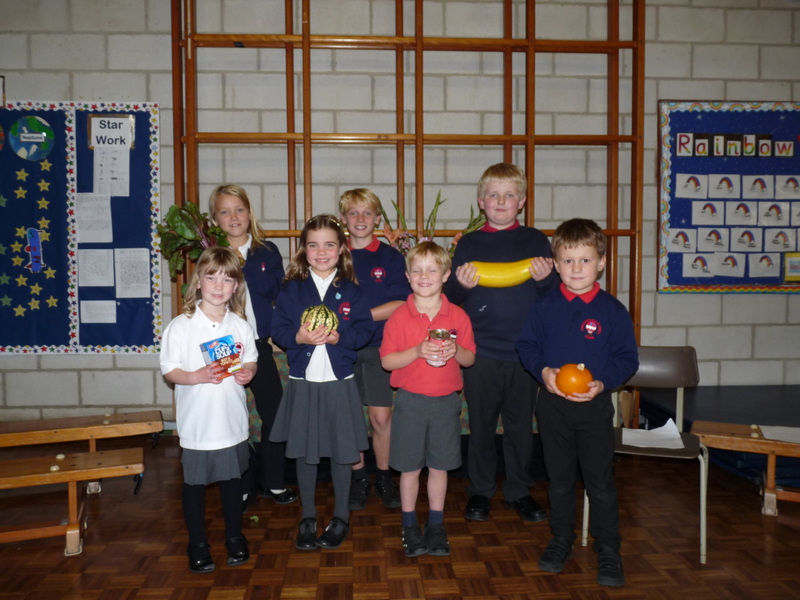 Thank you to the School Council for selling the produce after the service, the total raised was £79.60. 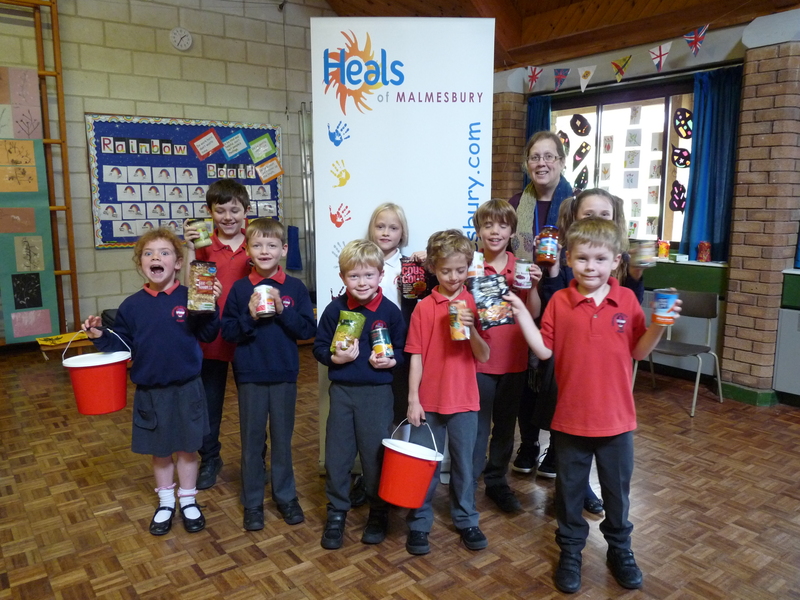 The school council chose Heals of Malmesbury as the charity to receive our auction proceeds as well as the tinned produce as they are partners with Malmesbury & District Foodbank. This week is was the turn of the Year 3/4 team consisting of boys and girls to represent Walter Powell in a Tag Rugby Festival at Minety Rugby Club. 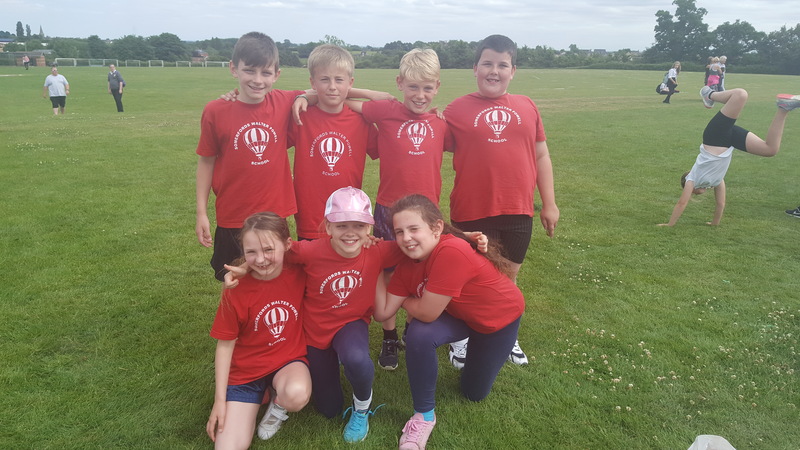 The team played six games in total and played with much enthusiasm, although they were unfortunate to lose their matches they remained in good spirits and most importantly they had a lot of fun and played very well as a team! 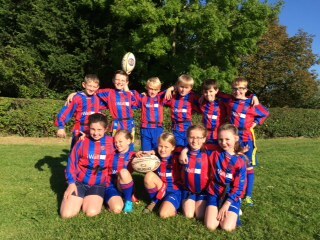 On Wednesday afternoon a team consisting of boys and girls from our Year 5/6 year groups represented Walter Powell in a Tag Rugby Festival at Minety Rugby Club. The team played seven games in total and we were delighted to win three games, draw two of them and only lose two games. There was a great team spirit and it was fantastic to see all the children supporting and encouraging each other during the afternoon. Every year they get better and better!! 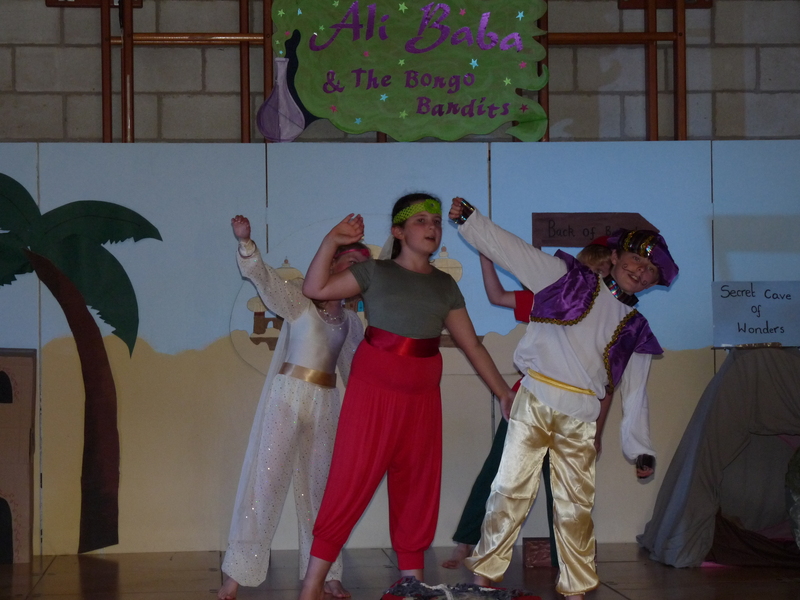 A HUGE well done to all the children who entertained us all with this year’s production of Ali Baba and The Bongo Bandits. 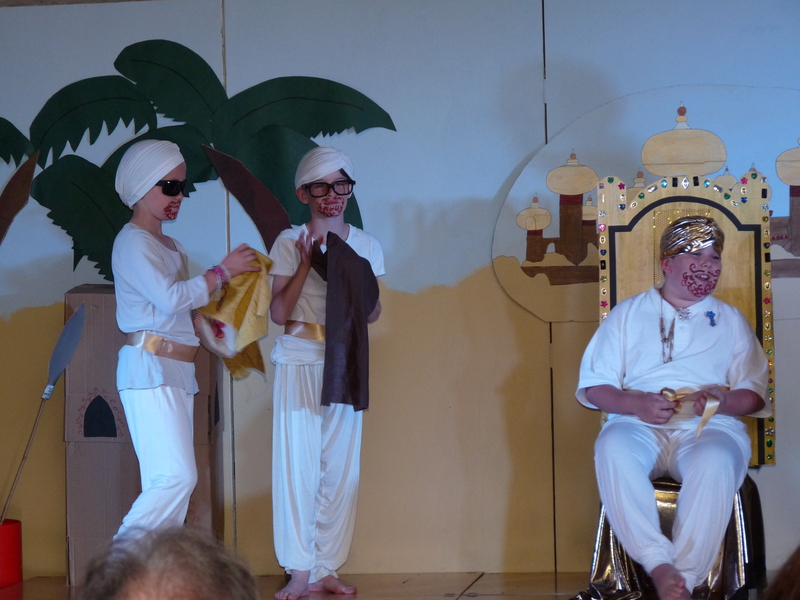 I am sure you will agree they did amazingly well to learn all those lines and songs in a short few weeks; we are so very proud of them all and hope that you all enjoyed the show! We also attended the Junior Good Citizenship Programme in Potterne. This event is considered to be a valuable experience for our Year 6 children as they begin to prepare for secondary school. This interactive event simulated life-like scenarios such as fire, road safety, anti-social behaviour and home safety which raised awareness of the contribution our children could make in preventing crime and increasing their own safety. Our Year 5 children had a wonderful day out when they teamed up with Somerford Walter Powell to visit Malmesbury Abbey for the ‘Lifepath Event’. They experienced an action packed day of activities based around the life of a famous Benedictine Monk – Eilmer taking part in a series of workshops based around aspects of the RE curriculum and the social, moral and cultural aspects of PSHE. On July 5th our children in Years 3 & 4 attended Braeside Education Centre together with children from Seagry and Christian Malford School. 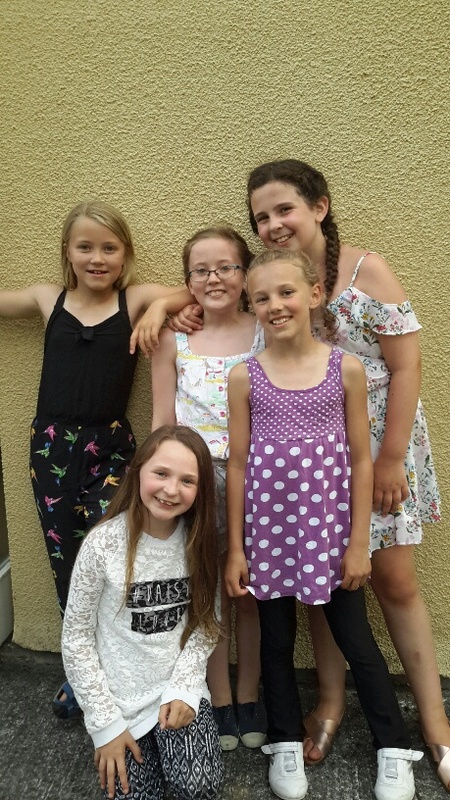 During the day they took part in activities such as Pond Dipping, problem solving, low rope climbing, climbing wall and finished the day with a BBQ dinner. These days are great for children to challenge themselves in an unfamiliar but safe environment, increase confidence, work as a team and provide them with new opportunities. 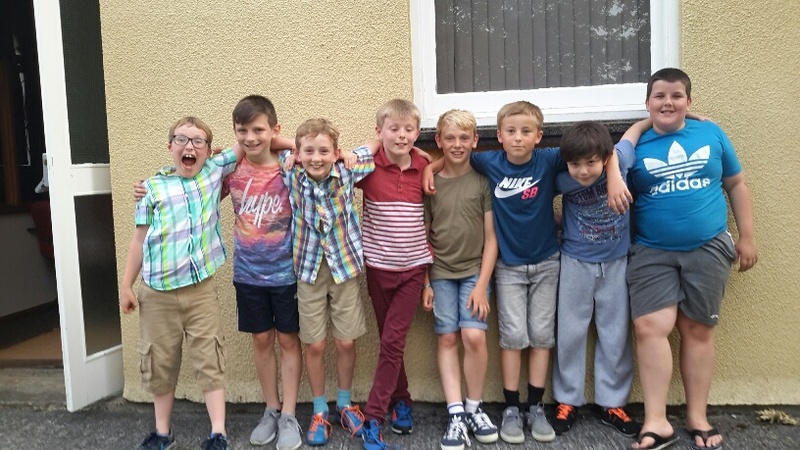 With cases packed and excitement running high, children from Seagry, Somerford Walter Powell and Christian Malford Schools enjoyed a wonderful residential week away at Hill House Christian Centre in June. The weather was kind most of the time, but nothing could dampen their spirits as they experienced the activities on offer which included kayaking, high ropes, team challenges, scavenger hunts, archery, swimming, karaoke, ‘It’s a Knockout’ various crafting activities and of course a BBQ evening. 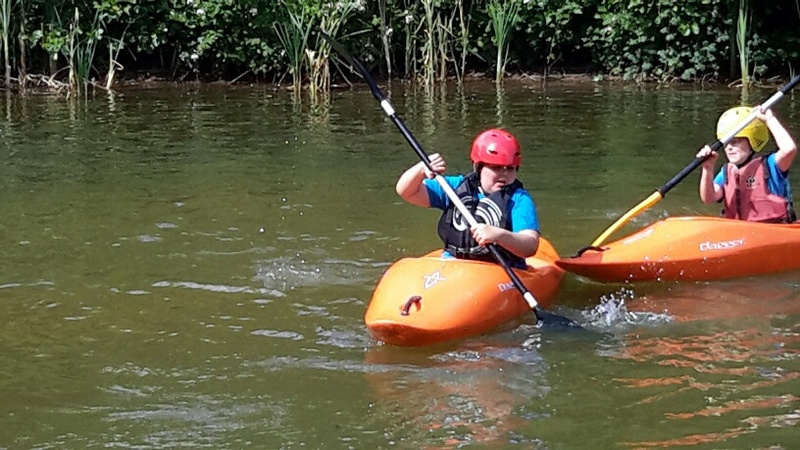 This residential week proved to be a very rewarding experience: for some it was the longest time they had spent away from home – an experience we may all remember, others tested out new skills for the first time and some were able to exceed their own expectations, all building on their confidence and making new friends. The teachers said, ‘Behaviour was exceptional, and it gave us an amazing insight to just how wonderful our children really are’. 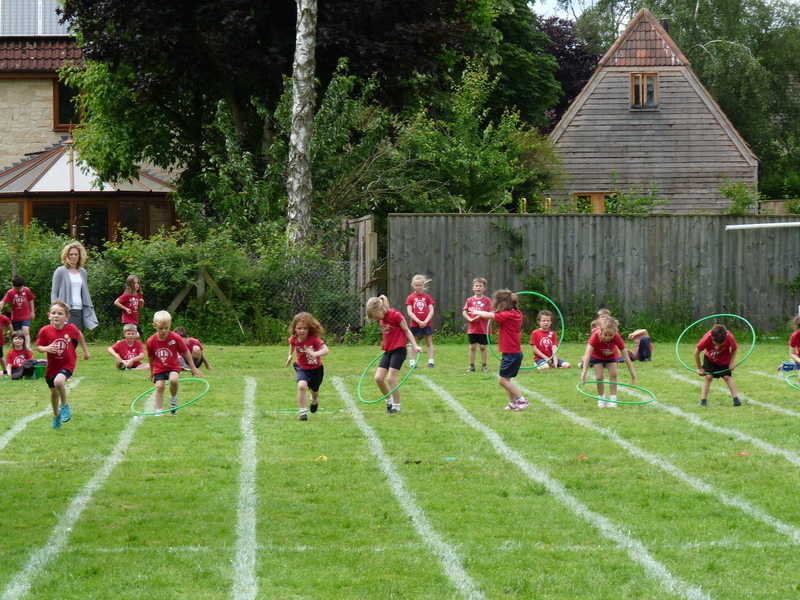 On Friday 1st July we held our annual sports day. 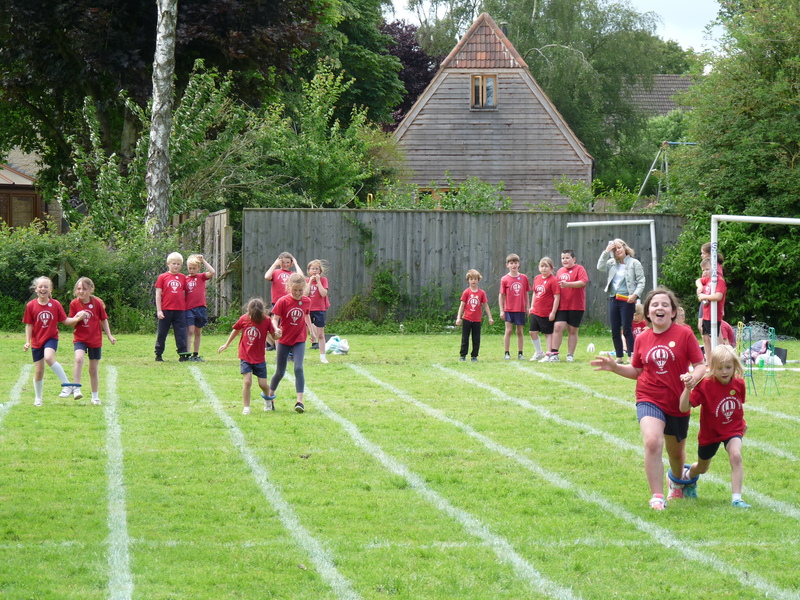 It was a fantastic afternoon of races that included the egg and spoon, obstacle course, sprint and relay races. It was lovely to see and hear all the children supporting each other throughout the events. 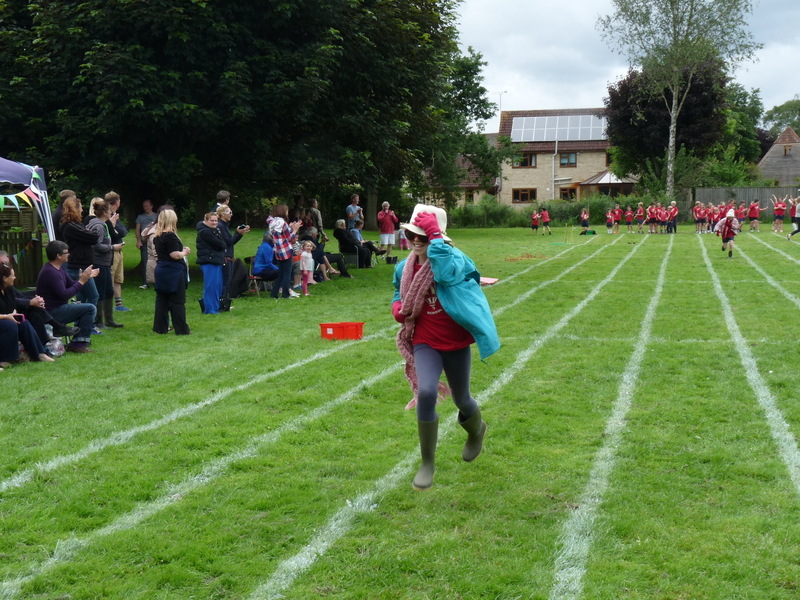 The grandparents took part in their own egg and spoon race and the parents had to race to the finishing line with a beanbag balanced on their head! 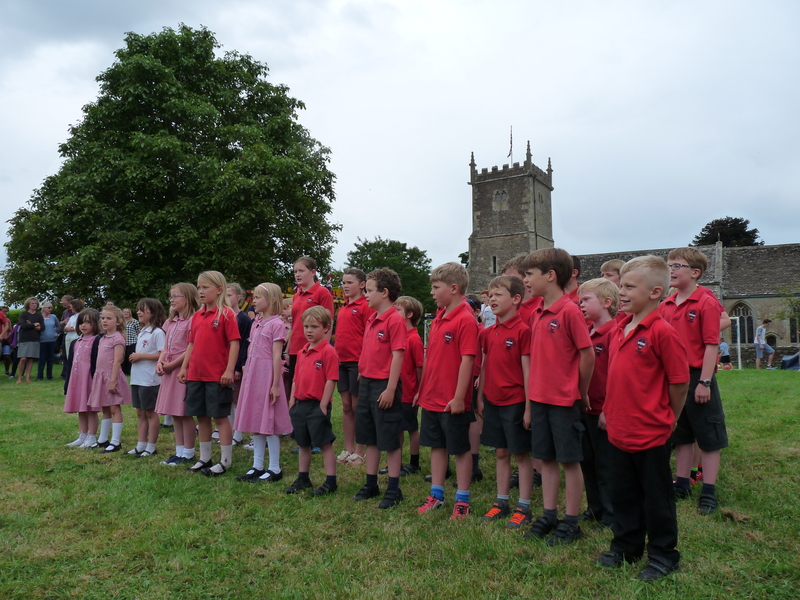 The children of Walter Powell performed singing and dancing to open the annual church fete in Great Somerford and Little Somerford. We hope you enjoyed it. 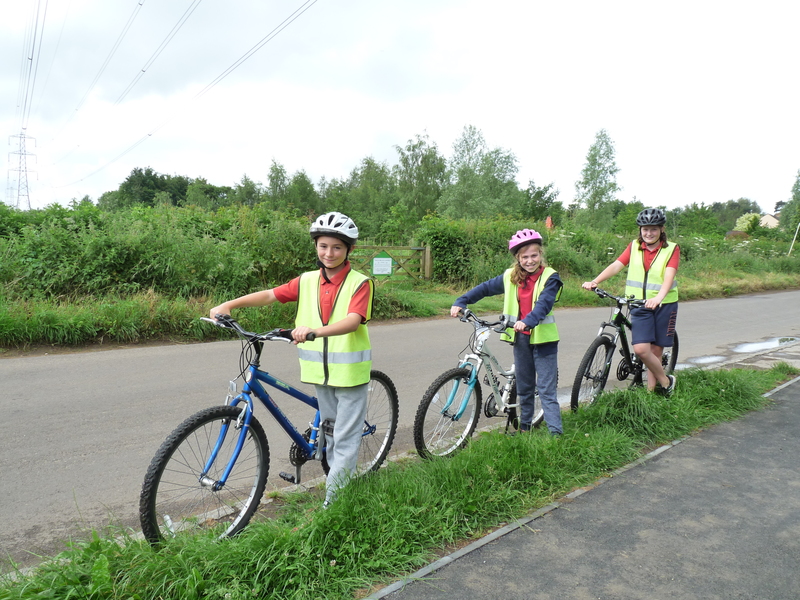 Our Year 6 children have taken part in the Bikeability programme and all children passed with flying colours! This prepares them for cycling on the road safely and recognising typical hazards, hand signalling, passing parked vehicles, turning into and out of side roads and understanding the Highway Code. 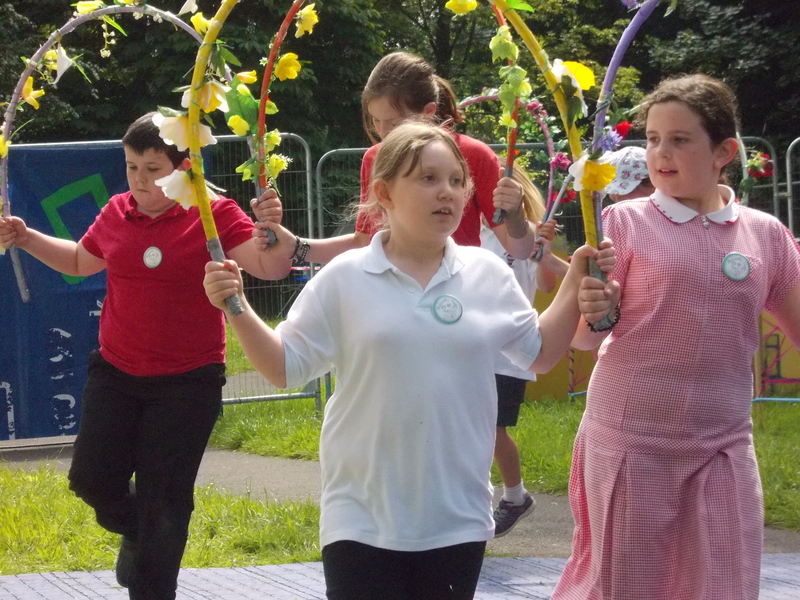 On the last day of the term 5 our Key stage 2 children took part in the Schools Day at the Chippenham Folk Festival, they learnt North West Morris and Garland Dancing and had the opportunity to watch a variety of folk dancing and musical performances. Every day our children start the day with ‘Wake and Shake’ which involves them dancing to music and stretching their bodies in preparation for a day of learning. 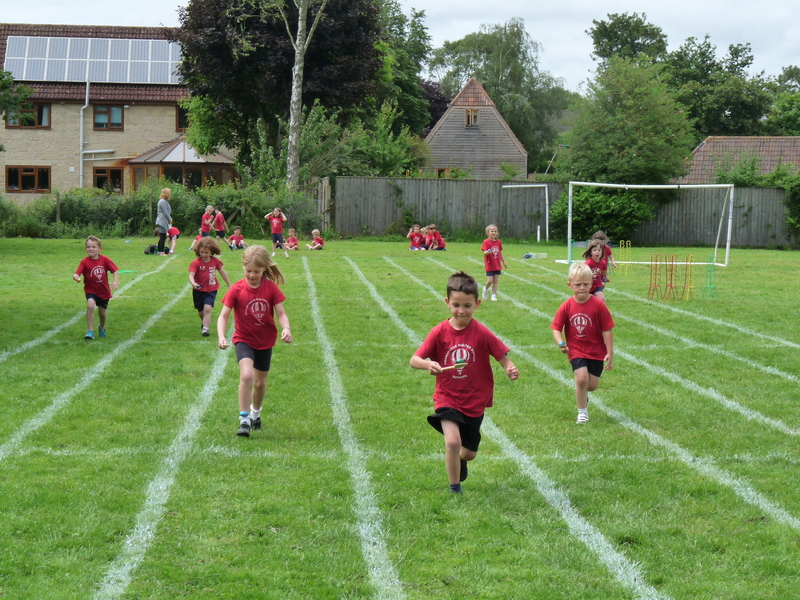 This term on two mornings a week the children swap their school shoes for trainers and they run around the school field for 5 minutes instead of ‘Wake and Shake’, we are hoping over time with regular running our children will be able to run a mile without stopping! MARCH – The children are preparing to become space biologists and embark on a voyage of discovery by growing seeds that have been into space. In September 2kg of rocket seeds were flown to the International Space Station (ISS) where they have spent several months in microgravity before returning to Earth in March. 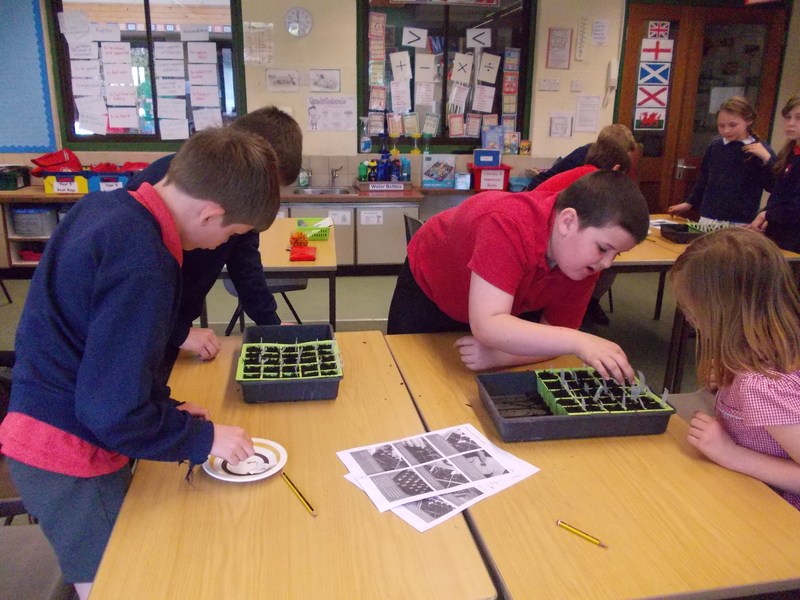 The children will be following the instructions and growing the seeds alongside seeds that haven’t been to space and measure the differences over a period of 7 weeks. The children won’t know which seed packet contains which seeds until all the results have been collected by the RHS Campaign for School Gardening and analysed by professional biostatisticians. 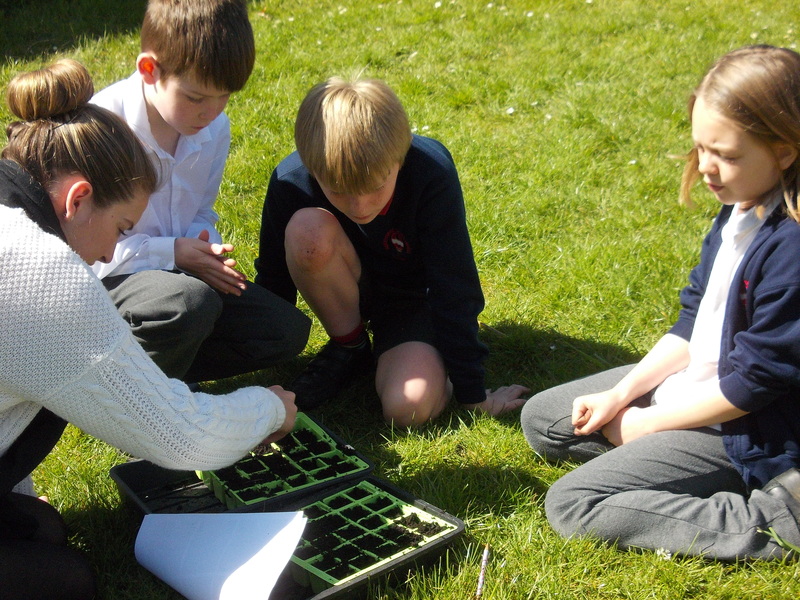 The children planted seeds that arrived in red and blue packets and are monitoring and recording their findings over a seven week period. This out-of-this-world, nationwide science experiment will enable the children to think more about how we could preserve human life on another planet in the future, what astronauts need to survive long-term missions in space and the difficulties surrounding growing fresh food in challenging climates. 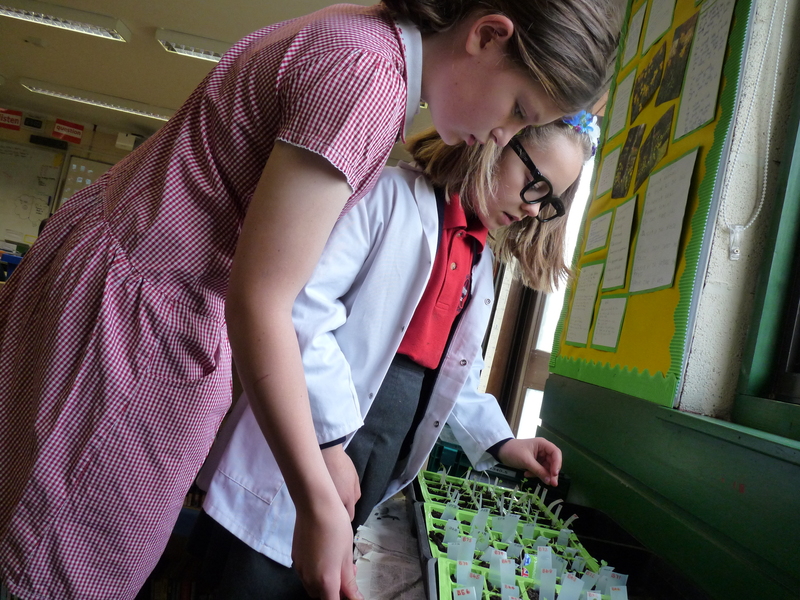 MAY – Our children have thoroughly enjoyed taking part in the Rocket Science experiment at school; they grew seeds that had been in space on the International Space Station (ISS) together with seeds that had remained on earth. After 7 weeks of measuring, monitoring and recording the results have now been submitted to the researchers and we will await the results/ feedback in due course. This was a wonderful experiment and a fantastic way of teaching our children to think more scientifically and share their findings with the class. JUNE – We have recently received a thank you for being one of 5400 participants who took part in the National Experiment Rocket Science. The children have watched a video from Tim Peake that confirmed it was the blue seeds that went to space and back before being planted. We are expecting to receive all the results from the experiment in the Autumn. 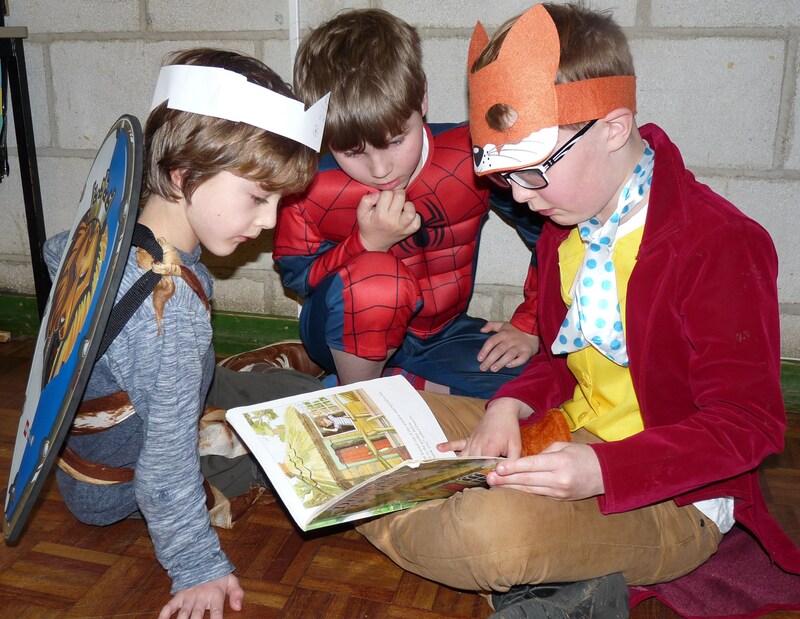 On Thursday 3rd March, the children dressed up as a character from a book. It never ceases to amaze us how much ingenuity is applied for any non-uniform day. 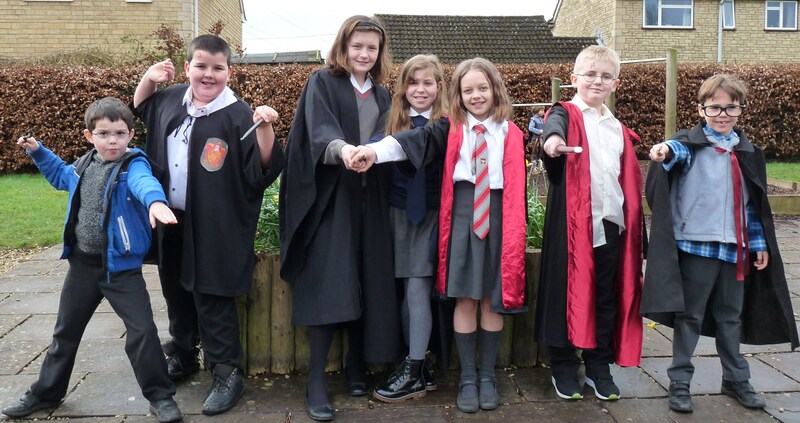 World Book Day was no different with the school awash with Willy Wonka, Hermione Granger, Harry Potter, Little Red Riding Hood, Darth Vader, Pirates, Princesses, Fantastic Mr Fox, Jack from Jack and the Beanstalk, Oompa Loompa and Charlie Bucket, Spiderman, to name but a few. They were all fabulous. During the afternoon the children sat for quiet reading time with a child from a different year group and Mrs Hodson kindly read to a small group of Key stage 1 children. 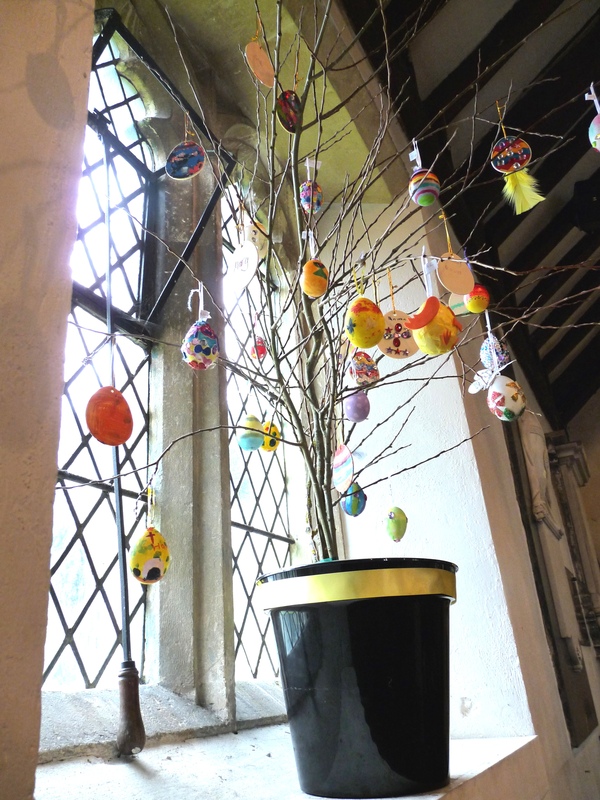 We are looking forward to celebrating Easter at Walter Powell, the children will be making palm crosses, enjoying an Easter special snack provided by SHASA, the children will be decorating a window sill in the church with an Easter Tree and we will be attending church on Thursday24th March at 11.00am to celebrate Easter with our families and friends.